The Nitish Kumar government had banned sale and consumption of country and spiced liquor in rural areas from April 1 this year, but had allowed sale of foreign liquor in towns and cities. Four days after promulgation of partial prohibition in Bihar on April one, the Nitish Kumar government today decided to impose a total ban on alcohol in towns and cities. The decision to ban sale and consumption of India Made Foreign Liquor (IMFL) in municipal and town council areas with immediate effect was taken at a cabinet meeting, the chief minister told reporters here. 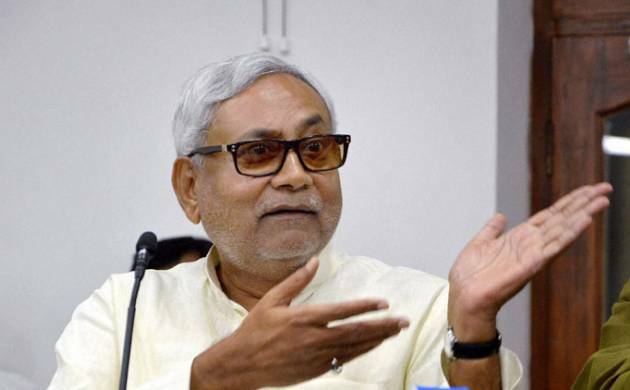 The Nitish Kumar government had banned sale and consumption of country and spiced liquor in rural areas from April 1 this year, but had allowed sale of foreign liquor in towns and cities. “But, the tremendous response of people particularly women and children against liquor in Patna and other towns in a short period of four days only convinced us that a conducive environment against alcohol has been created in the state and that’s why we decided to go for total ban on liquor after four days only,” he said. On ‘toddy’ which has created controversy in recent days following intervention of RJD President Lalu Prasad against its stoppage in view of interest of people associated with the trade, Kumar said the state cabinet decided to strictly impose the 1991 guidelines which allows consumption of “Neera” (drink from palm trees before sunrise) but disallows consumption of ‘toddy’ (after sunrise when the palm tree liquid gets fermented and gains alcoholic properties). The 1991 guidelines prohibits sale and consumption of ‘Neera’ within 50 metre of places like hospital, education institutions, religious places among others in towns and 100 metres radius in rural areas, he added. The chief minister said “Neera” would be allowed, while ‘toddy’ drink would be barred.